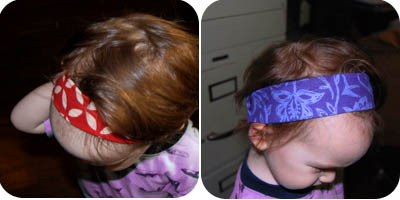 These baby headbands are so simple to make that is is nearly impossible to make just one! 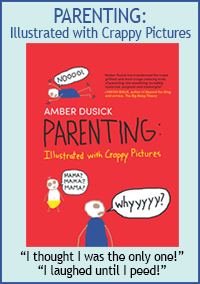 This is the project to run to when your child's hair is getting in her eyes, but you don't want to cut it. It is also a fantastic way to use up fabric scraps and also is a lovely excuse to purchase small swatches of wild and crazy prints that you might not otherwise use. This is a very simple tutorial and using a very basic construction so feel free to tweak and alter if you want something a little more fancy with finished edges. 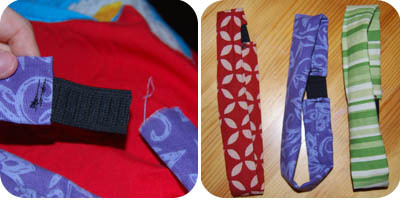 Start by cutting out rectangles of fabric in double the width you want the baby headbands to be. The best way to reach the proper length is to simply wrap a piece of string around your child's head the way a headband would fit and then subtract two inches which is where the elastic will go. My fabric rectangle was about 3.5" wide by 19" long which will fit most 18 months - 2 year olds. 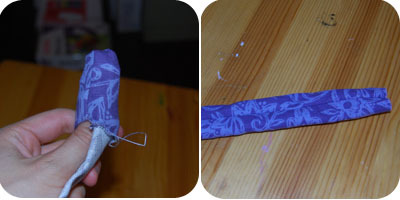 Fold the rectangle the long way and sew (right sides together) just along the long side. Turn right side out. A chopstick or the eraser side of a pencil comes in handy to turn right side out. 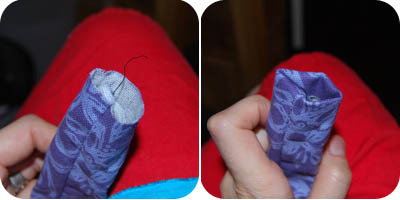 Take one end of your fabric tube and fold/tuck in the edges as shown. 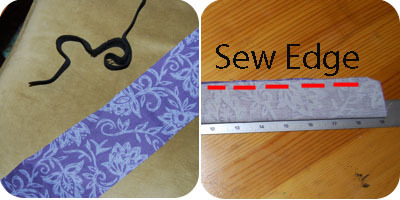 Now insert one end of elastic into the tucked in edge of your tube and sew. 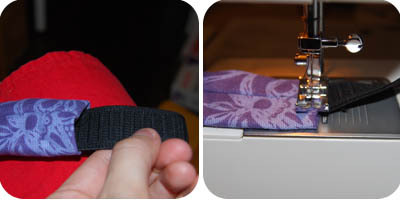 Be sure that your seam is centered so that it will be hidden against the head. Using matching thread will look better than my examples, but I'm way too lazy to change the thread on my machine. This part of the headband will be hidden in back by hair anyway. Finally, repeat with the other end of the fabric tube. The amount of elastic used depends on how much stretch or give your elastic has and it is very simple to test it out on your child. Try on twice, sew once! Yay! You can now keep her hair out of her eyes! Plus, they look cute. Oh yeah and while you are at it, don't forget to make a few for yourself! Go to the Make Baby Clothes Section for more project ideas! Back to the top of the Make Baby Headbands page.